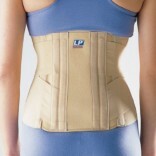 Back support belts are lightweight and intended to be worn around the mid-section of the body. These back support belts are mostly used by weight lifters and in rehabilitation therapy but workers involved in daily weight lifting activity. Other corporate jobs demand to sit at computer for hours to complete daily work. Physical labor and stress on back takes a heavy toll on the body and needs to be balanced with appropriate back support to prevent injury and support body movement. A suitable lumbar support can help your back to fight against any physical stress and injury. A back support belt is an essential item for those working in an industry requiring regular heavy lifting. 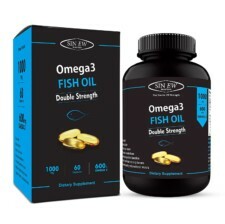 They assist with generating stability and supporting the backbone. A lumbar support belt reduces the risk of injury from inappropriate lifting and they can be adjusted to fit a range of body shapes and sizes. An ideal back support belt is great for the gym and aerobic training for either under or over clothing. 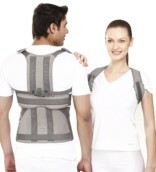 It is also helpful in reducing back pain and for back support during weight training exercises. A back support belt reduces stress on the lower back while weight training in gym and work-out session and prevents back hyper extension during overhead lifts. A belt lessens low back stress by compressing the contents of the abdominal cavity. 1. Decrease forces on the Spine:- Lifting may create a variety of forces within the body which contribute to the pressure on the spine. Using a Back belt on heavy lifting and loading significantly reduce stress on back. It will keep your spine safe and in correct posture. 2. Increase Intra-Abdominal Pressure:- It is considered that if the pressure is increased within the abdomen, it will compensate the compressive force being exerted downward on the spine. Therefore, even if a Back belt increased IAP, it would reduce forces on the spine or decrease back injury. 3. Remind Workers to Lift Properly:- At this point weight lifting Back belts remind workers to avoid awkward postures and heavy loads and helps avoiding back stress and injuries. 4. Stiffen the Spine:- Several ligaments, tendons, and other soft tissues surround the spine and help hold it in place. So a lumbar belt increase this support, which decrease the motion allowed between segments of the backbone, and as a result reduces damage to the discs at the lower back. 5. Reduce Bending Motions:- Loading on the spine increases when a person has to bend as far forward as possible. The ability to bend this far forward could be restricted by a Back belt which decreases the possibility of injuries. An abdominal belts help restrict the range of motion during side to side bending and twisting. 6. Reduce Injuries in Certain Workplaces:- There have been many case reports of injury reduction in workplaces using back belts as it provides proper support to the spine which lifting and loading. The potential effectiveness of Back belts in reducing the occurrence of low back injuries. 1. Tynor Contoured L.S. Belt L 01:- The Back support belt is technically formulated to support and immobilize the lumbo sacral region and correct the postural irregularity to relieve low back pain syndrome. It is crafted with a well cushioned back pad which makes it very comfortable. 2. LP Sacro Lumbar Support 927:- It provides proper pressure to relieve back pain and also relaxes spinal muscles. Formulated with double pull straps overlapping at the back and fastening in front for maximum Support. The Breathable elastic mesh fabric also provides cool support. 3. LP Back Support (W/Strays) 727:- The Back support provides utmost support to mid and lower back without restricting normal movement. It Retains heat to entire lower back muscle group. It’s Hook and loop closure allows for a wide range of adjustable compression. With Back supports you get extra stability when doing tasks that could be harmful to your spinal health. Bending and lifting will benefit greatly from wearing a back support belt. 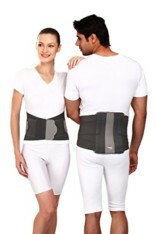 Back support belts are designed to take pressure off your spine. These belts prevent injuries and make you feel much better by the end of the day. A back support belt is a recognized safety item in many industrial workplaces, while intense workout session, where appropriate care must be taken to ensure the safety and health of your spine.